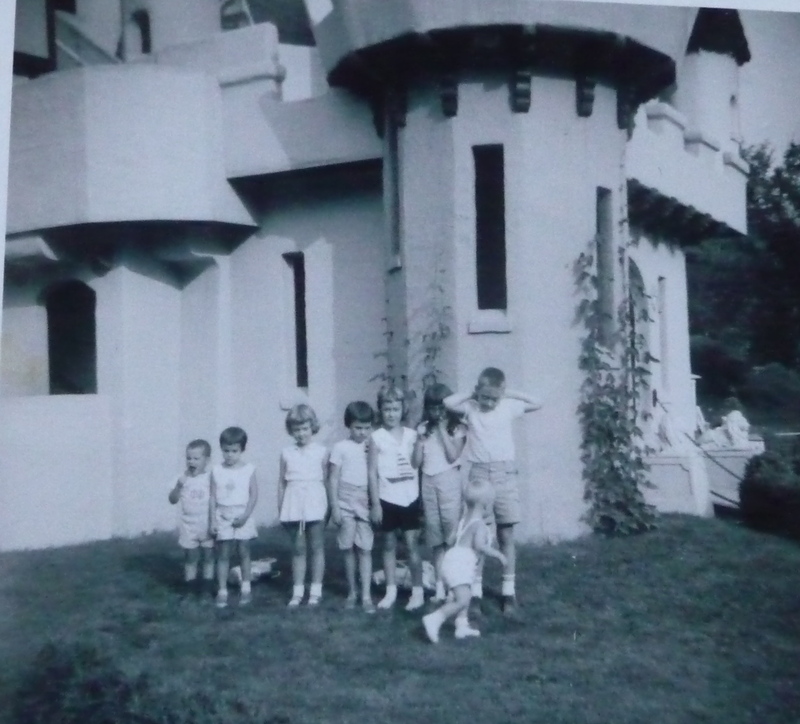 1961 summer trip to “Magic Land” (I think that was the name of the place) with my cousins. I’m 4th from the right. the only ones who look like they are having fun are the 2 little guys (my brother on the far left and my cousin Matt running in front!) To this day, these are the guys you want to have at any gathering! Years ago, I was very good friends with a woman (who I really liked a lot) but she wasn’t the first person I’d call when something wonderful happened for me. She struggled with life and so other people’s victories or happiness felt unfair, or even like an unkind barb to her. As much as I liked her, it wasn’t any fun at all to share my joy with her, so often times, I would either down-play what happened, or not tell her. I learned a lot about what I wanted to be from that friendship and set one of the intentions for my life: “I want to be the kind of person who people love to tell good news to, and I want to be fun to be around.” These sound like such small things, but they are two of the qualities that I cherish in people as well. Thinking about what we value in friendships (or relationships in general) is a great way to look and question ourselves to see if we are giving what we would like to receive. And if we find that we come up a little short in this area, it can become a new point of focus, to grow into the people we want to be. Friendship, to me, is such a precious thing and I cherish each. I have a bestest friend with whom we can share everything and share joy and encouragement and laughter! To me a truth sign of friendship is someone you can share a good laugh with and then remember it later with a smile. I most appreciate when I say something really dumb, wish I could take it back, and my friend just ignores it and I get a “get out of jail free” pass. Met Barbara in high school. We were always true friends. We hardly ever speak or phone or email, but we know we are there for one another. I live up north and she lives down south. We both married and have children. We are both extremely happy. The other day I received an email from her. It said “you know I love you”. Made my freakin day!!! and I, of course, wrote back and said the same thing to her. No gushing or tears of joy – just the words. That is true friendship. I honestly think I have different kinds of friends for different reasons. I have some friends that I just laugh a lot with, but wouldn’t call if my world was falling apart. I have friends who are less ‘fun,’ but who really ‘see’ me, and honestly reflect back the truth of my opinions and decisions, just as I do with them. And then, there are the friends who you know you can call in the middle of the night when you’re feeling small and vulnerable and just need to hear the voice of someone who cares. And I provide that same variety of friendship to different people in turn. With some, I’m the court jester; with others, a friendly shoulder. For me, the ultimate qualities of a friend are loyalty, honesty, compassion, coupled with a lack of judgment. And so, I try to be the kind of friend I would like to have myself. Happy Blue Moon! My best friend is my daughter Amanda. We share the best belly laughs over things that no one else might laugh about. It’s that deep, unarticulated, unconditional love and joy that I so appreciate. The trait I admire most in a friend is humor. If a friend can’t get you humor and laugh when you laugh, who can?! The ability to expose your private self, to become vulnerable and not feel judged but listened too is a trait I greatly value. Since we were months old – we were born 2 months apart, 70 years ago next year – I have been able to share life with Debbie. She always has the best response and the most joy of anyone. We taught each other unconditional love in an atmosphere of more conditions and prejudgements than I can remember – because she helped me forget them when I needed to and I think I did the same for her. We haven’t lived in the same town since we went to high school together but we always know how the other is and we are the first to know about the important things in our lives. If I get 2 jars of your wonderful salve, I will send one to her immediately! Humor, my friends make me laugh! Simply cannot imagine life without friends, but love the non-smothering yet ‘always present’ type best! I have two friends who I have known for over 30 years…in that alone I am blessed. They are both so very different from each other and from me, but the strength of our friendship is in loving those differences and celebrating the unconditional love we share together. There are stretches of time when we don’t speak, but there isn’t a day when I don’t feel the connection and strength of our relationships. When I think of either one of them, I am uplifted by the miracle of our friendship. What I love about my best friends are the times when there is no need for words…a shared look tells us everything we need to know. I get cards and clippings and photos and compilations CDs in the mail from my friends. Always a surprise and always a treat. What I love about my long time best friends is our history. We were together during raising our children and now in retirement. We share the same humor! Even though dynamics in the group have changed over the past 30 years, they are still my best friends and it is very loving, comforting and rewarding to have them in my life. Both my best friends live out of state from me, but everytime I see/talk to them (sometimes only 1x per year), it seems like time stands still and we always pick up right where we leave off and it is always a joy because they understand and accept me for exactly who I am and I accept them as well. Distance and time passing by mean nothing with our bond. It ranks right up there with the unconditional love I receive from my dogs & family. Can’t wait to experience the blue moon tonight. I think an important quality in a best friend is being a great listener. My best friend is my Ma,she has been there for me through thick and thin.In Dec 2010 my 47 year old husband had Brain surgery,this surgery went drastically wrong… to cut a long nightmare short,We now take care of my husband at home he is in wheelchair and relearning how to do everything. My Ma has been there giving of herself helping me with my teenage boys,cleaning for us,doin my garden. She has also seen me at my worst( not too appreciative) and still loves me,so I would like to give her a wee treat. I just ordered a tin to try last night..for myself not even thinking about my wee Ma. So when I saw you’re give away felt like I should Share that with her. Well that’s all for now..
P.s I really enjoy you’re blog. My best friend from high school and I connected again about six years ago through emails – it’s like we never missed a day in between. A best friend is someone who listens, who cares, who is careful with advice, knowing sometimes it’s best just to be there for each other – from being childhood girlfriends, we’ve now raised five kids between us, maybe a total of 68 married years (between us, mind you!) – but still, the essence of our friendship is a kinship in spirit that began when we were just 14, and has grown through the years into women who know each other so well. And yet she allows me to remember the girl in me, – we take each back to that time of innocence when everything was still possible. I love you Maggie! My favorite person to share any news with, good or bad, is my older sister Connie. If the news I have to share is good, she will be all excitement for me, and if the news is bad she will be a kind and loving listener, let me get it out and then help me find some peace or hope to hang on to. Those, therefore, are the traits I appreciate in a friend and the traits I aspire to. The qualities I most value in my friends is a genuine interest in others, humor, compassion, and a wildness of spirit. The friends who you can do “nothing ” with and still have a great time. When reading books together is just as fun as going to a concert etc. Authenticity is what I value the most in a friend. That the person I think I know is the person he or she is. A giddy sense of adventure and a touch of wild abandon tempered with mindfulness ;)!! My dear friend and I celebrate the same birthday. We are so much alike. What I love about her is that she “gets me.” We also love autumn and we say the word autumunal every chance we get– and text each other like crazy when the autumnal mood hits us– which is getting more frequent as we head into that time of year. Maybe it sounds silly, but this is what I mean about how she “gets m.” Like I know she truly understands my heart. not sure, but do I comment here? If so, Susan and can laugh together, no matter what’s hard in our lives. . .and through the laughter/sharing/tears, come to a place where our very friendship is the ‘balm’ for all. . . . .the balm of love. I have a friend who is a great sympathetic listener. I am learning from her to be one too. She is learning to talk more and I am learning how to be quiet and listen! One quality i love in my closest friend, my daughter, is her uncanny sense of humor in any situation. Thanks Mary for your thoughts on friendship. I thought i was the only one with a few kill joy “friends”!! Loving me simply because I exist…..warts and all! My friends are great, they know how long to let me “wallow” and when to snap me back. Today is my birthday. My best gift is my friend, Maxine, who shared a magical early morning with me. I brought a basket of coffee and muffins to her upstairs deck and we watched the Blue Moon set. A good friend never thinks your ideas for fun are stupid! Happy Birthday Cheryl! What a beautiful way to start you day, a Blue Moon, a great friend, and a delicious breakfast Many happy returns! Happy birthday Cheryl…coffee, muffins, the moon and your best friend.. Perfect! The first thing that came to mind is the ability to make me laugh. To giggle, to guffaw, and to appreciate my humor too. But there’s way more to the friends I adore – they know how to be serious, too, but not take themselves – or me – too seriously. They ask me great questions, and they really listen. They share themselves. They’re optimistic. And they surprise me with kindness and things they notice and remember. They don’t run away when I need help. Man, I am so lucky. A quality I value in a friend is the ability to make me feel like they truly want to be there for me anytime I need them. This topic reminds me of a line from a Mary Oliver poem: it goes something like this: “If you are walking with me in these woods then you must be my friend.” Friends are the people you choose to spend your precious time with. Well said. A friend is someone that can share your time and space doing nothing or something but enjoying the company. Acceptance, generosity, and love. Someone you can be your stripped bare self with, no censorship of what you can talk about, understanding, and support. Loyalty and true caring. I have some friends who I don’t see often, but value tremendously and I feel guilty sometimes when I don’t stay in touch often enough. When we do get together, I always apologize, but they wave it off and tell me how much I mean to them as well. I know they’d be there for me in an instant if I needed them, and vice versa. Thanks Mary for the reminder to think about my valuable friends and also the opportunity to have some of your skin cream! Honesty with a touch of tact. Have a swell blue moon! Warmth and a sense of humor are traits I value most. I appreciate when my work friends just listen to me when the steress get tough around here. a person does not always have to have an answer to your problems just a listening ear is therapy in itself. I love that we don’t talk/see one another for months– and it’s okay!! One who can rejoice with me when I rejoice, and weep with me when I weep. Authenticity, not perfection, is necessary and acceptance of her own follies and foibles as well as mine. And of course being able to be totally silly and fall backwards with laughter. What I like the most about my friends is that we can laugh a lot. I can pick up with them at any time and we just continue to talk as if it was yesterday and not 3 months ago that we talked. I know they are there even when we get so busy we can’t talk. I love friends who don’t make you feel obligated or beholding to them. And I agree that my best friends and I might not see each other for a while but we simply pick up where we left off. A smile and a giggle. I love to be around happy people, people who laugh, tell jokes, smiles with a “I’m glad to see you” smile. I really appreciate a sense of humor and the shared ability to laugh at ourselves. I appreciate the acceptance of my quirky-self and their in selfishness. I love the complete acceptance and understanding that my best friend has of me and I of her. And, that we each know the other is there for whatever we may need, whenever we may need something. These are great gifts to have in ones life and heart! A person who doesn’t judge and loves you even if I think I made the worst mistake in the world. I don’t have a best friend anymore, maybe because as you grow older they accumulate and it is hard to choose just one! I think the one thing that is precious to me in each of my closest friendships is the ability to be myself without pretense and still be loved and valued. I think a good friend is someone who I can say anything to, or nothing at all and still be completely comfortable and not feel judged. My man and I are best friends. Through it all,no matter what, we’re there for each other.We are on exactly the same page. Nothing can compare to this! We will be together till our dying days! I feel so lucky to have such a loving community of friends and a loving family too. I’m a new reader and I am really enjoying your insights and thoughts and wonderful quotes! Thanks for being a bright spot in my day! I am very fortunate to have a number of friends that I’ve know and loved for a very long time, and they are all very different people. But they share a couple of traits – they each take the time to really listen and they each love to laugh. May the blue moon shine blessings over the WFF flock! Happy weekend, everybody! Friendship is so precious–particularly at this stage of my life when so many of mine are in declining health. or are dying. Thanks so much for this blog. It is a bright spot in my day! 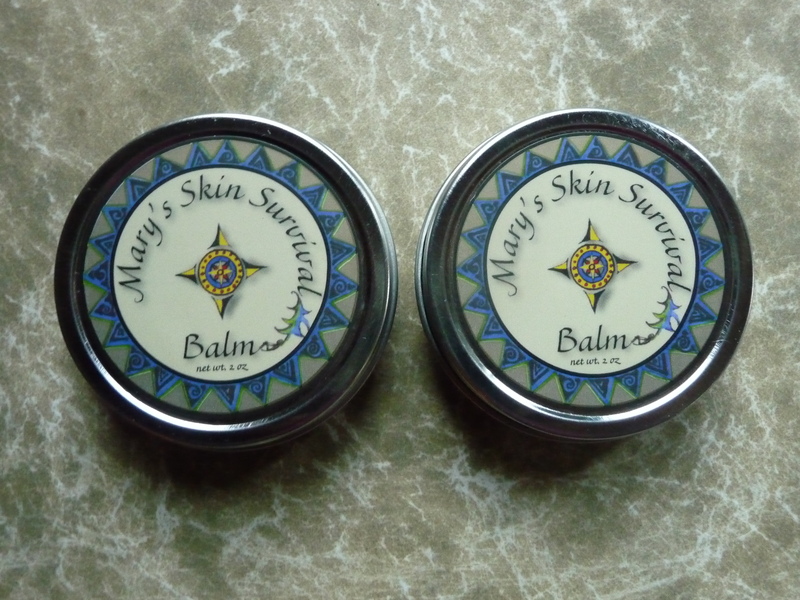 When I look at how many responded to Mary’s offer of skin balm, 72 in all, I wonder why more folks don’t share in the postings during the week. It’s astounding to think that many people read your blog, Mary but then I’m unused to blogs. Yesterday was an important milestone birthday and I received five cards from friends that I’ve grown up with and who remain in my life. My husband hid my gift underneath my pillow last night…after I’d done some personal grumbling that he’d forgotten my birthday when I’d remembered his…!! So a friend for me is someone who stays in my life, with my emotional peculiarities and all and who doesn’t pass judgment on me but accepts me as I am. As I extend the same, to them. Happy Birthday from me too Sandy! …as for the number of readers on this blog, you might be surprised to know that there are a little over 800 subscribers, plus 600-700 that read but are not subscribed (and that doesn’t count the ones forwarded to friends) so we are at about 1400-1500 White Feather Farm blog daily readers! We all take what we want or need and give when and how we want to this wonderful blog. We all use it differently – but gratefully and with so much appreciation. I have a friend who only reads Mary’s posts and does not read the posts from the flock. I could not understand how she could miss some of the best part and not add her thoughts at times. I realized what a personal thing it is for each of us and how the blog is here for us in whatever way we care to utilize it. Can’t thank you enough Mary for your efforts in sharing your wisdom and personal examples for us to have a path for our ongoing growth. I think of it now as a place of centering and a place where we all feel so welcome. Thank you, thank you, thank you. I am overwhelmed with the number of subscribers, Mary…and we who post here are in a minority I see. Could you imagine if all 800 posted! And when you think of how far reaching your ‘ministry’ of people is, the internet is an amazing place. Thank you Susan and Mary as well…I don’t know how I got to the number in my seventies that I have reached but when I told my sister that I didn’t know what 70 etc. looked like, she replied: “look in the mirror”…only family could say that…(smile). We both hooted with laughter. As always, love your poetry. Susan and can laugh together, no matter what’s hard in our lives. . .and through the laughter/sharing/tears, we come to a place where our very friendship is the ‘balm’ for all. . . . .the balm of love. 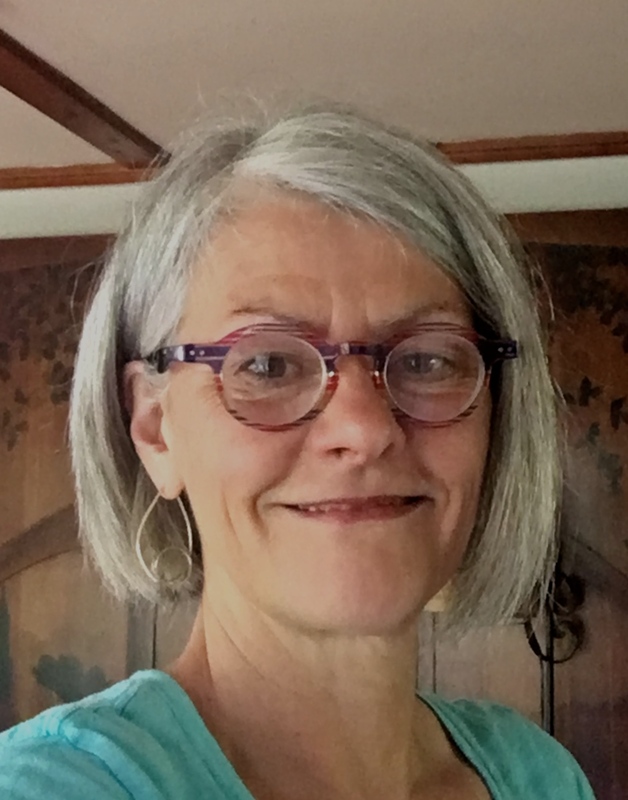 I’ve often said that I feel like I get different things from my different friends…one I can tell almost anything, with another I can freely have spiritual discussions, and another one is fun to just listen to while she talks. I have a harder time being me with my side of the family which is so very sad. Mary, I love your saying that you “set intentions for my life” and that ”I want to be the kind of person who people love to tell good news to, and I want to be fun to be around.” I guess my intention is that I want people to feel they are loved and valued by me and that they, in turn, will enjoy spending time with me. Wouldn’t it be wonderful if more people actually did set intentions for themselves? I soon learned as a child how I “didn’t” want to be” and as a mom I knew what I did and did not want to pass on to my children but those were conscious decisions made with purpose to which I am now reaping the benefits of having delightful and loving children…what a blessing. Thank you Mary for your insight and sharing…love you!